Bridget is truly an extraordinary lace innovator, never borrowing existing patterns from books, but designing each of her unique motifs from scratch and, when necessary, inventing techniques to realize her ideas. 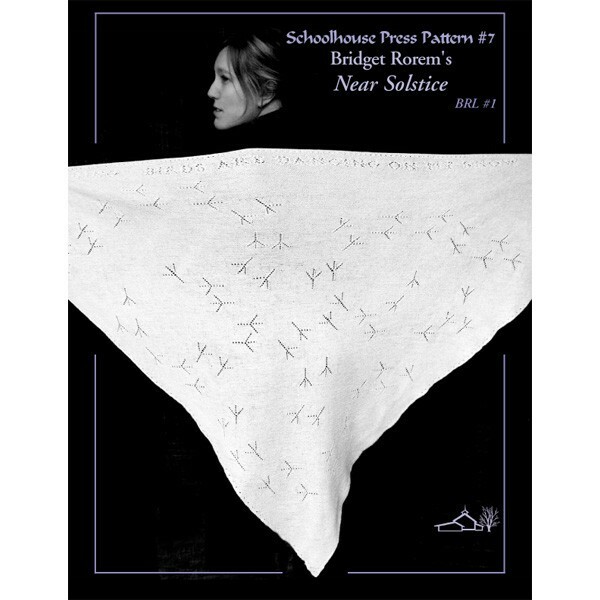 Here she artfully places the delicate footprints of birds in snow into a lovely triangular shawl - with a beautiful original Haiku knitted along the top edge. Full detailed instructions and charts. Print version comes in a 3-hole, archival quality sheet protector.